Life without Windows or OS X: GNU/Linux: breathing new life into a desktop or laptop. GNU/Linux: breathing new life into a desktop or laptop. This article will probably be most useful to those who don’t know anything about GNU/Linux. For users who want quick access to GNU/Linux and a large array of software/apps without having to use the command line. Or, maybe you simply seek an easy way to give Linux a try. GNU/Linux isn’t like Windows or Mac OS. Microsoft combines all the parts of Windows internally to produce each release of Windows and distributes it as a single program. Linux isn’t a complete operating system it’s just a kernel. GNU is the operating system which is 100% free software. Together they are GNU/Linux. Unlike Windows or Mac OS, GNU/Linux isn’t produced by a single organization. If you’ve heard anything at all about Linux, you’ve probably hear the term Linux distributions often shortened to “Linux distros” . For many people, Ubuntu has become synonymous with Linux. But Ubuntu is one of many distros, and you have a lot of choice when it comes to GNU/Linux. I would recommend the MX Linux distro . If you have an old system maybe MX Linux can help. 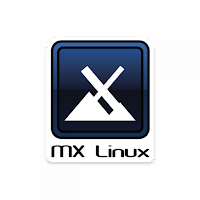 MX Linux is a full-featured operating system like Microsoft Windows 10 or macOS 10.14 Mojave. 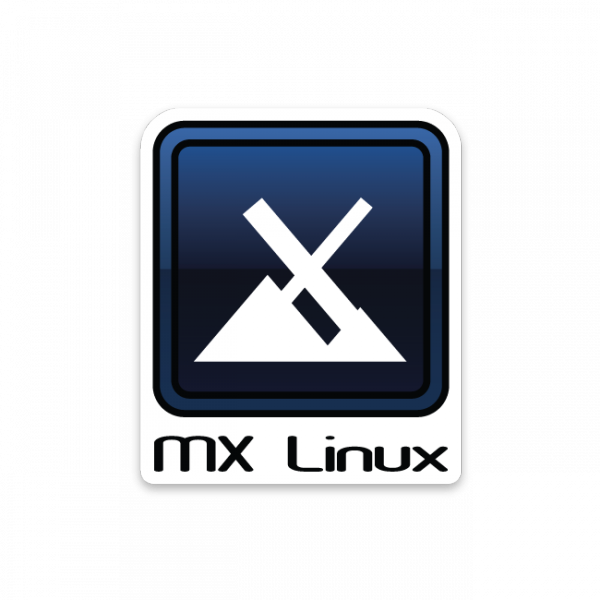 MX Linux combines the power, stability and cost-savings of GNU/Linux with a familiar, easy-to-use comfortable graphical interface with clear menus and icons. MX Linux comes with everything you need to browse the Internet (with Firefox 64.0), watch Videos (with VLC 3.0.3), e-mail (with Thunderbird 52.9.1), share and write documents (with LibreOffice 6.0.1), work with digital photos (with the Gimp), listen to music (with Clementine 1.3.1), play games and much more. MX Linux is distributed as Live DVD that could be installed onto a hard disk drive. It is a Linux distribution based on Debian's Stable branch which uses Xfce as the operating system's default desktop environment. The latest release of MX Linux is version 18 and it is based on Debian 9 "Stretch". MX Linux 18 is available in 32-bit and 64-bit builds and the installation media we can download is about 1.2GB in size. Note if your system was made after 2010 download MX Linux 64-bit build. If you want to test MX Linux, it can be booted directly from the live DVD drive without installation, without making any changes to your computer system. You can also use a live USB if your system dose not have a DVD rom drive. Along with the hardware support and the modern desktop, MX Linux 18 also comes with everything you need right out of the box. It has Firefox web browser, the Thunderbird e-mail client and the LibreOffice suit. It also has FBReader e-book reader, a dictionary, and the qpdfview PDF viewer. The distribution covers multimedia playing with the Clementine audio player, SMTube for finding and playing YouTube videos and the VLC media player for playing media files. Xfburn will burn CD DVD along with Blu-Ray and Asunder will rip CDs. The gimp can edit your photos. Burning an ISO to a DVD is easy with Windows XP, 7, 8, 10. Note: Do not burn the ISO onto a blank CD/DVD as if it were a data file. An ISO is a formatted and bootable image of an OS. You need to choose Burn disk imageor Burn ISO. Windows XP and Windows 7 doesn't include any built-in way to create an ISO file from a DVD, but there are free utilities that will help you do this, such as open-source InfraRecorder. But Windows 10 has its own burner, called Windows Disc Image Burner, and it could be used for burning regular data to CDs, as well as ISO files. Simply right click an ISO and select to burn it to a disk. Insert a blank DVD in your writable optical drive. Right-click on the ISO file and select "Burn disk image." Select "Verify disc after burning" to make sure the ISO was burned without any errors. To create a bootable USB. You can easily create a bootable USB that works on most systems. You can use a cross-platform utility called Unetbootin. Plug in the USB stick you want to turn into a LiveUSB. Use the My Computer screen, right-click your USB device in the menu and select Format,then FAT 32. Start Unetbootin, and either download the ISO using the top radio button, or click on the button with the 3 dots to locate your ISO file. Note:Make sure the device that is identified in the bottom line is what you want to use and that there are no files on it that you do not want destroyed. Click OK to create the files necessary (it will take some time) on the USB device. Either click to restart the system, or exit to reboot manually on a different machine or at another time. BIOS (Basic Input Output Subsystem) is a programmable chip that controls how information is passed to various devices in the computer system. Start the computer and press ESC, F1, F2, F8, F10 or F12 during the initial startup screen. Depending on the BIOS manufacturer, a menu may appear. To give a USB or DVD drive boot sequence priority over the hard drive, move it to the first position in the list. The initial boot menu of MX-18 Continuum 64-bit operating system gives you a choice of four options: Mx 18 x64 (Live boot),Virtual box video, boot from hard drive and memory check. At the same screen you can optionally switch your language, configure persistence and specify other boot parameters. Choose Mx 18 x64, the bootloader will start running MX Linux directly from either a USB stick or a DVD. It will be a quick and easy way to experience how MX-18 Continuum works and confirm that everything is working. Most importantly, it doesn't alter your computer's configuration in any way, and a simple restart without the USB stick or DVD is all that's needed to restore your machine to its previous state. Mx Linux 18 continuum Live allows users to run the system for any purpose without installing it or making any changes to the computer's configuration. With this Live DVD/USB you can do almost anything you can from an installed system. You do things like Safely browse the internet and watch YouTube. However the drawback is being unable to save any current working data. Next: Part II Installing Mx Linux 18 continuum on hard drive/solid state drive.